discover what do people really know and think about NWFPs. As Etifor, we prefer second option! To do this we involved the people we daily share our workspace with: the students of the Agripolis campus of the University of Padova. In fact, being hosted by the University, Etifor’s headquarter have hundreds of forest and agriculture students around. We would like to understand how forest students consider WFPs, not by unemotional questionnaire or a paper, but we decided to ask to students to tell a history, through a series of photo! 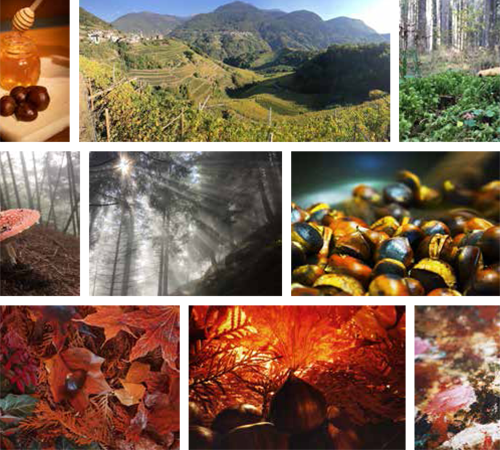 The INCREDIBLE Photo Contest was promoted, with the help of the University Forest Student Association (AUSF Padova). They were asked to provide up to 3 photographs that describe a value chain of a NWFP. Furthermore, students were asked to provide a text that describes the relations between product, territory and people. The materials collected were judged by a committee composed by foresters, graphic designers and passionate photographers. The photos of the 10 best participants were then presented at the General Assembly of the INCREDIBLE project, hosted in Padova the 3rd and 4th of December 2018. This brief contest was an interesting experience, with students that challenged themselves to deepen their knowledge in a subject that is definitely not properly treated at the university. The analysis of the material collected emerged that, sometimes, there’s not enough awareness of the environmental, social and economic importance of NWFPs. In fact, value chains behind these products are long, complex and remains very often far from end consumers. Incredible project can help to fulfil these aspects, promoting and supporting events aimed to share and communicate the knowledge and the importance of NWFPs. Are you curios to see the shots and discover the winners? Find them out and see their pictures at the following link! !